I've made stuffed zucchini before and I used this recipe from Lidia Bastianich. Is anyone else completely mesmerized when she cooks, or is it just me? I just love watching her cook. She makes it look so easy and effortless and never makes a mess! Her recipes look so good I swear I can taste them through the TV and any day she wants to invite me to go with her to explore different parts of Italy with her, well my bags are packed! This recipe is from Kayotic Kitchen. The nice thing about this recipe is unlike the above recipe, you use the zucchini that you scoop out so there's no waste. My vegetable shunning guys protested much and loudly about how gross this was and they weren't even going to taste it (even though I wasn't asking them to!) I'm glad they didn't want any because that meant more for me! I had these stuffed zucchini for lunch and I thought they were so good that I made them again the next day! The only thing that would have made these better was eating them in Italy. I'm beginning to appreciate zucchini more these days. I'll have to try that! 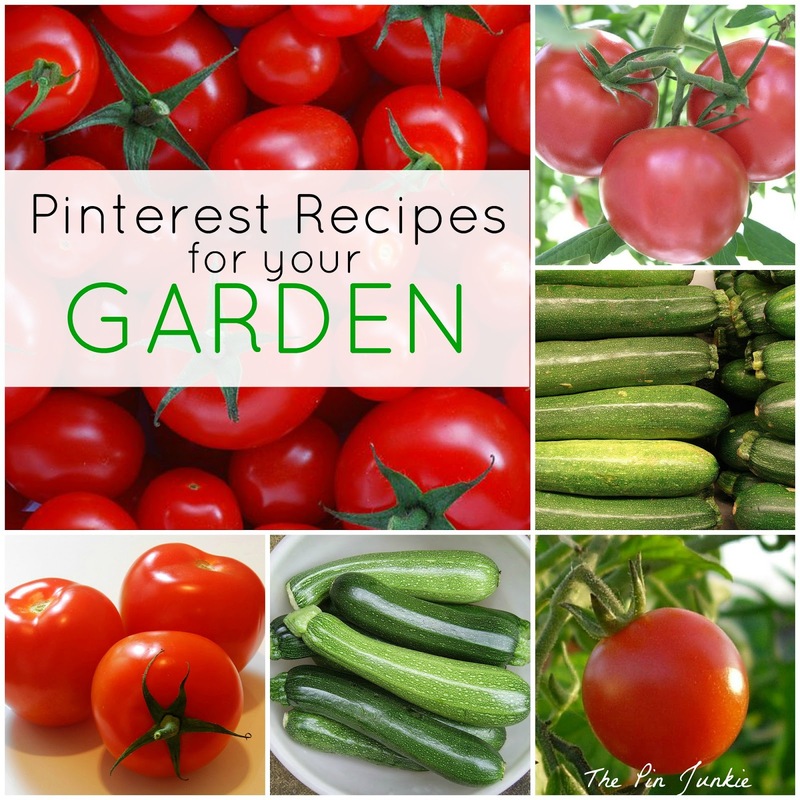 I've been looking for zucchini recipes the past few days, and these look fabulous! Thanks for the recipe, I can't wait to try it! I love Lidia. I hate those loud, contest cooking shows. I want them to be quiet and teach like Lidia and Joanne Weir, and Ina. I have three zucchini waiting for me. I am posting next week about grilled zucchini and with the three left I am going to try this. YUMMY! I looks so good! Thanks for linking up to Super Sunday at Who Needs a Cape! Hope you link up next week! The recipe for stuffed zucchini looks awesome! I used to have a recipe for stuffed squash and I lost it. Looks like I've found a new one! Thanks! Hi I followed you over here from the Tuesday's Table link party. 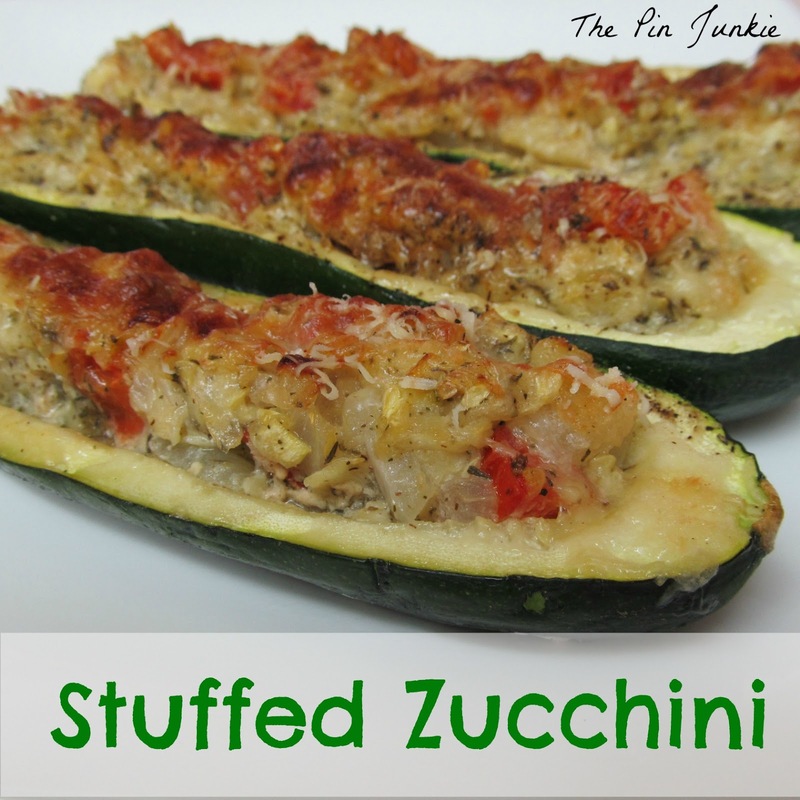 I love zucchini and my kids actually love it too, so I think I need to try this! I especially love that all the zucchini gets used and none gets wasted. Thanks for sharing! Mmmm, these look delicious! Can't wait to try them. I'm visiting from The 36th Avenue link party. This looks delish! I'm so into fresh veggies and fruit right now ~ everything is in season. Thank you for sharing at Brag About It this week! I love zucchini and will try this! Looks delis! I can't wait for fresh zucchini and it is soon to be in the garden. Besides zucchini bread and of course steamed I think my favorite is stuffed. To: "me"
These look great and I am in need of creative ways with zucchini right now so it is much appreciated. I'll be trying it soon. Thanks for sharing at What'd You Do This Weekend. I love stuffed squash - we'll have to try this! Thanks for sharing it with us at LOBS! Is there anything better than zucchini in the summer? NO! Thanks for joining the Ladies Only Blog Share! Love it! Thanks for sharing with the LOBS! I'm a zucchini fan - these look great! Love this and can't wait to try it!! Will return to pin later! Thanks for linking with us this weekend at one Sharendipity Place! Oh, I love stuffed zucchini. Yours looks very tasty. One year I planted a yellow zucchini. I liked it even better than the green. Haven't found one since. Yes, to eat it in Italy would be divine! Thanks for sharing with SYC. I wanted to let you know that I loved this! I’m Featuring YOU on VMG206 ~ Brag About It Tuesday's Linky Party from last week! We go live Monday at Midnight. So please stop by and grab a Feature Button and Link Up something new. I have also pinned your project to VMG206’s Brag About It Features Pinterest Board. I can't wait to see what you've been working on this week! Thanks for the feature Megin! I appreciate it! It's courgette & corn season! :) I love fresh summer courgette and your stuffed version sounds absolutely delicious!! Thank you so much for linking up with me this week at Tasty Tuesdays! I’ve pinned this & shared it with my followers! Please be sure to stop back by the party and check out some of the other links! Anything stuffed is 10x better! These look so good! Thank you for sharing at our Pinteresting Party! That looks so yummy. I will be featuring this tonight at my Sizzle into Summer party that opens at 8pm EST. Please stop by and pick up an I've Been Featured button. Thanks. This looks so good! I could make a meal out of it! Now I know what to do with all of the zucchini growing in my garden! Thanks for sharing on Tried and True recipes!